Shots rang out in Savannah's grandest mansion in the misty,early morning hours of May 2, 1981. Was it murder or self-defense? For nearly a decade, the shooting and its aftermath reverberated throughout this hauntingly beautiful city of moss-hung oaks and shaded squares. John Berendt's sharply observed, suspenseful, and witty narrative reads like a thoroughly engrossing novel, and yet it is a work of nonfiction. Berendt skillfully interweaves a hugely entertaining first-person account of life in this isolated remnant of the Old South with the unpredictable twists and turns of a landmark murder case. It is a spellbinding story peopled by a gallery of remarkable characters: the well-bred society ladies of the Married Woman's Card Club; the turbulent young redneck gigolo; the hapless recluse who owns a bottle of poison so powerful it could kill every man, woman, and child in Savannah; the aging and profane Southern belle who is the "soul of pampered self-absorption"; the uproariously funny black drag queen; the acerbic and arrogant antiques dealer; the sweet-talking, piano-playing con artist; young blacks dancing the minuet at the black debutante ball; and Minerva, the voodoo priestess who works her magic in the graveyard at midnight. These and other Savannahians act as a Greek chorus, with Berendt revealing the alliances, hostilities, and intrigues that thrive in a town where everyone knows everyone else. 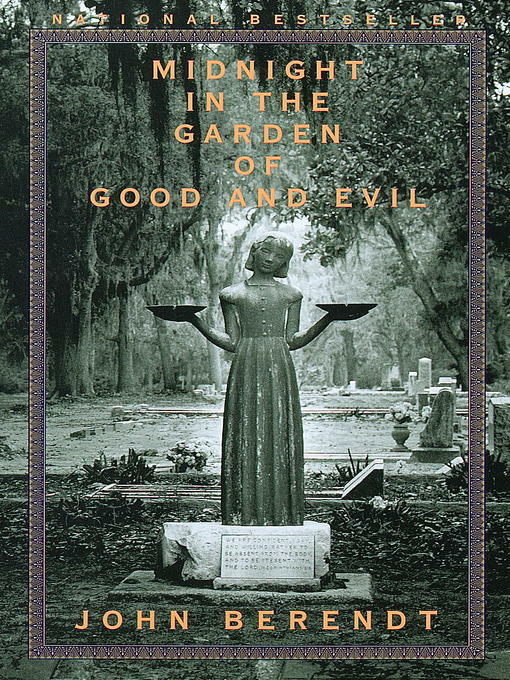 Midnight in the Garden of Good and Evil is a sublime and seductive reading experience. Brilliantly conceived and masterfully written, this enormously engaging portrait of a most beguiling Southern city has become a modern classic.